Whiteboards are more than just a writing surface. They are a vital communication link in educational institutions, offices, homes and business establishments. They are available with ceramic steel, polyester resin coated steel and laminate surfaces. Whitemark whiteboards, made out of e3 environmental ceramicsteel, have a contemporary design with an elegant aluminium frame and rounded plastic corners. These boards have a specially coated, UV-hardened surface to give them a longer life. And because the coating is done on steel these boards are magnetic and can also be used as notice boards with the help of magnets. They have a glossy surface framed with elegant Natural Anodised Aluminium profiles and rounded plastic corners. These boards are easy to write on with dry markers and dry erasable. These boards have as many applications as there are places to use them. 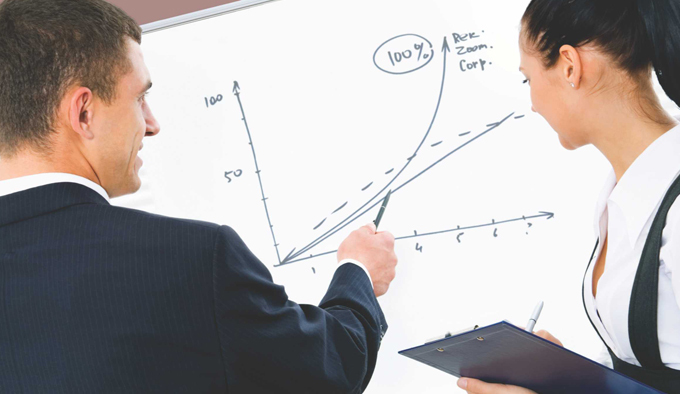 The drywipe – non magnetic board is the ideal solution for places where economy is desired. The high gloss, hard laminate, brilliant white surface is suitable for writing on with dry-wipe board markers.